As a singer, DJ or band, you rely on getting bookings to perform. But it can be almost impossible to get bookings if you or your band don’t have public liability insurance (PLI). That’s because many live venues won’t book singers, DJs or bands who don’t have PLI. To them, it’s just not worth the financial risk, no matter how talented the singer, DJ or band. And no matter how big their following. So, if you want to get more bookings, you or your band need to get PLI. And here’s the easy way to get it. Join the Alliance of Musicians and Performers (AMP UK), the membership organisation for singers, DJs and bands, and you’ll get instant £10 million Public Liability Insurance. • Ongoing advice and support. 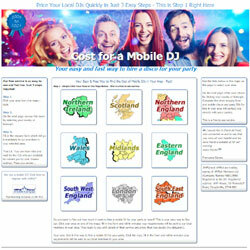 And that’s all for just £49 a year for soloists, duos and DJs and from £69 for bands. Just click on the relevant box above to sign up for all these benefits now. 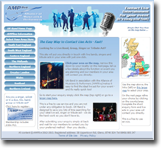 Or to find out more, call us now on 0333 577 2247, contact us here or email us at info (at) ampband.co.uk.